These are lyrics by O-Town that we think are kind of repetitive. 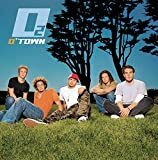 I absolutely love O-Town and this song rocks, but has anyone actually tried to sing along? The amount of times 'Girl' is said makes it so confusing and difficult to do so! What makes it even worse is not only is it mentioned in the chorus about 40 times, but they shout it in the background too! I dare someone to count the exact number of 'Girl''s and post it up here!